Raman spectroscopy is the study of the vibration modes of molecules through inelastic scattering of laser light off of a sample. In this process, the scattered photons either lose or gain energy equal to that of the molecular bond’s vibrational modes. By measuring the shift in wavelength from the Raman spectroscopy laser wavelength you can determine the bond structure of the molecule. Therefore, Raman spectroscopy lasers must be wavelength stabilized to ensure the accuracy of your shift calculation. 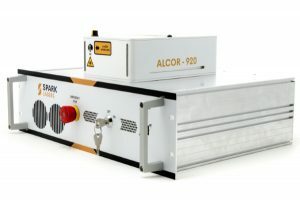 This is typically achieved through the use of a volume Bragg grating based external cavity diode laser, but single frequency DPSS lasers are also commonly used. 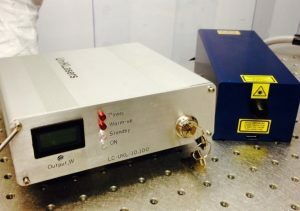 For more advanced Raman spectroscopy application such as stimulated Raman scattering (SRS) and coherent anti-Stokes Raman spectroscopy (CARS), short pulsed lasers are also used due to the non-linear nature of the process. 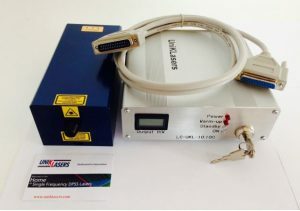 On this page, you will find a list of all of the Raman spectroscopy laser sources we offer include laser diodes, DPSS, and pulsed laser systems.